Top 10 Honeymoon Destinations: The trick to having the most romantic honeymoon with your other half is to plan it beforehand. It will be more suitable if you plan it 6 – 8 months earlier from your wedding. It gives you plenty of time to concentrate on the ceremony. And when the day will come, what you need to do is to just pack your bags and fly together. Also, the top romantic destinations in the world that are adored by the honeymooners. Stay pre-occupied with tourists all the year long. So booking the hotels ahead of time, will help you to relish them more. Here is a list of the top 10 honeymoon destinations in the world. You can literally pick any as each and every destination offers something unique and admirable. What is the city that comes to your mind every time you think about a romantic place? 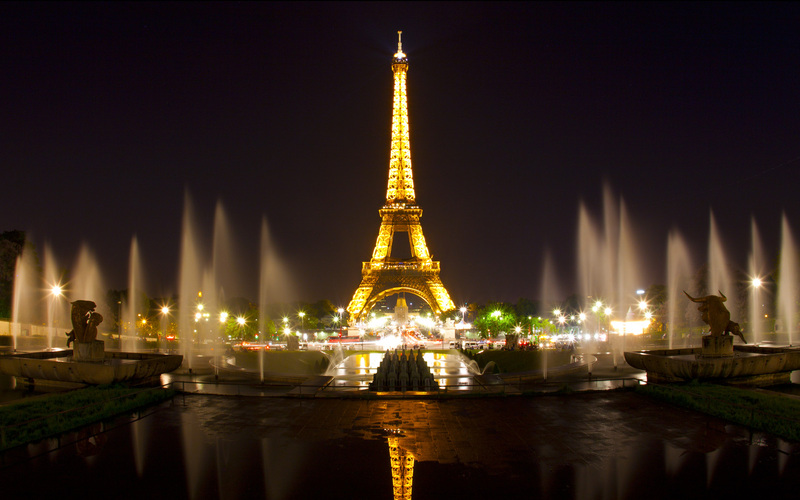 It has to be Paris as for decades all the honeymooners who visited Paris have accepted the fact that nothing can match the beauty of Eiffel Tower. The art and architecture, the food and the wine, the music and the language. Even the lazy afternoons spent on the roadside cafes with your beloved one seems so rejuvenating. You will absolutely fall in love with this French city. The Seine river and the reflection of the Musee d’Orsay on it. The Notre-Dame Cathedral, the Luxembourg Gardens, the Arc de Triomphe. Everything will force you to take a photo tour with your spouse. Though if you are planning to visit Paris in the month of January and September then let me warn you. That the hotels must be booked 1 year beforehand. As that is the time of Paris Fashion Week, so choose your dates wisely and plan accordingly. 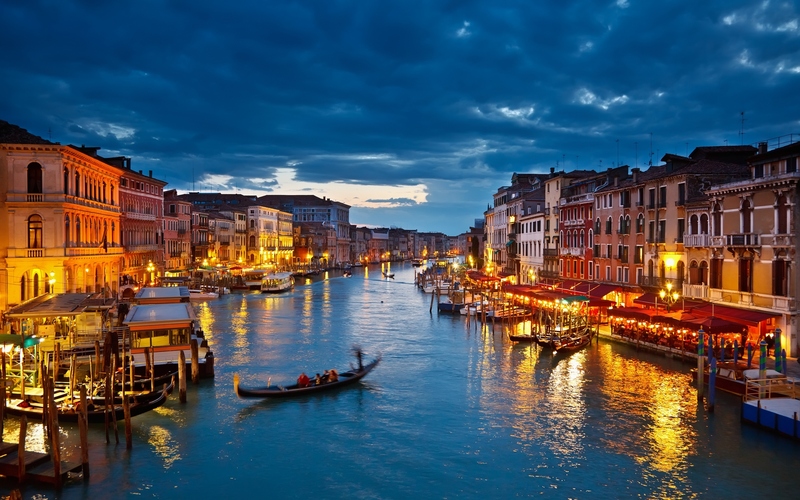 Venice is often said to be the most romantic city in the earth. Though I hate clichés after visiting Venice, it is now all clear to me. It is actually not the place for single foreign travelers rather Venice is for couples. Those are madly and deeply in love. It is the heaven of Italy where you can take the famous gondola ride. Undoubtedly the most romantic time you will spend with your partner if accompanied with a bottle of wine. You cannot afford to miss the sunset if you are in Venice from the lagoon shore at the Giardini public in Castello. The pink streaked skies will give your love a new meaning and perfect for making promises and to say ‘forever’. Even Greg Wise proposed Emma Thompson in the beautiful Accademia Bridge of Venice. I have heard many, skeptic about the beauty of the United States. 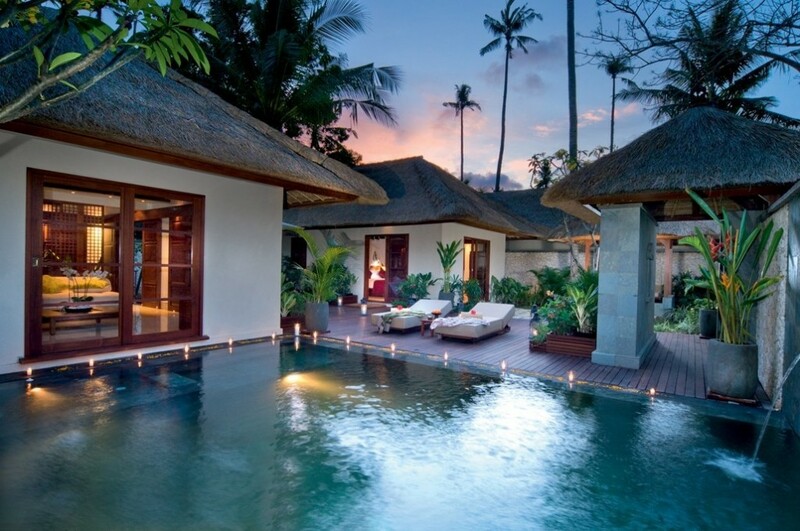 And often doubt the thought that the place can be romantic enough for honeymoon couples. But the truth is the word ‘romantic’ actually has no boundaries. 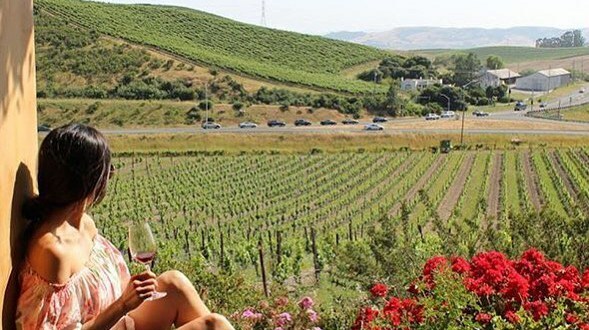 You will not feel it, until and unless you visit a place, one like the Sonoma in California. Sonoma is historically very significant with its huge castles like Chateau St. Jean. The dreamy vineyards, breathtaking beaches, jaw-dropping sunsets and the redwoods are the perfect combination of romance. Those who do not like to visit tourist spots instead want a place secure from the crowd. To spend some time together with their spouses. Then the secluded resorts with private patio and hot tub will be the perfect honeymoon getaways. Don’t forget to taste the wine here, if you visit Sonoma. You can even book two seats in the wine auction too if you want. 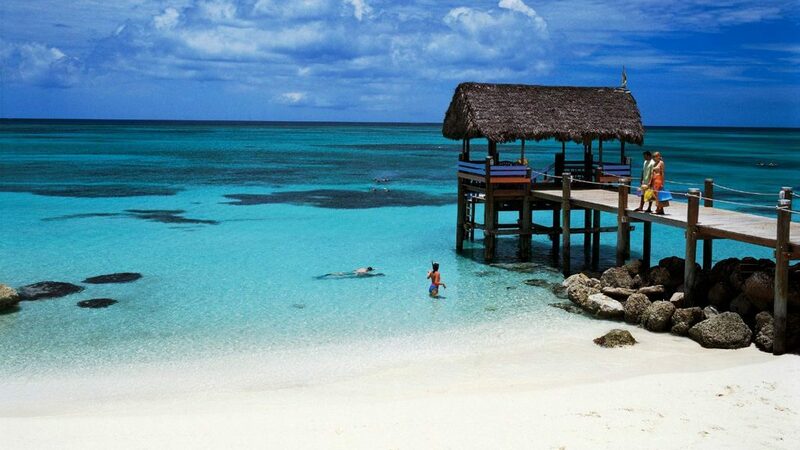 The Harbour Island in the Bahamas has won the title of the most romantic Island in the world. By its tourists because of the red and pink color combination of its beaches. The official color of love this island has got from the minuscule foraminifera. Which is a red shelled creature gives the sand a romantic rosy hue. A candlelight dinner on the beach beside the Caribbean Sea under the glittery sky will give you the feeling of a fairytale. Fancy a slow dance here? Well, in case you are not sound with dancing then how about spending some time in the arms of your loved one. And watching the sunset on Santorini? This island is the ideal place for romance and leisure; if not on your honeymoon then on another holiday at least, this place is worth visiting. 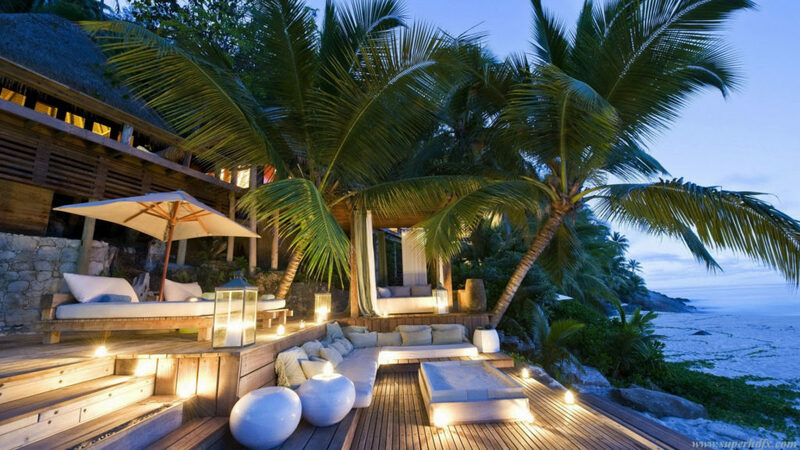 Make sure to book the top romantic resorts here, to make your honeymoon exhilarating. I have always dreamt about spending a honeymoon in a volcanic island as these islands are said to have the best scenic views at night. 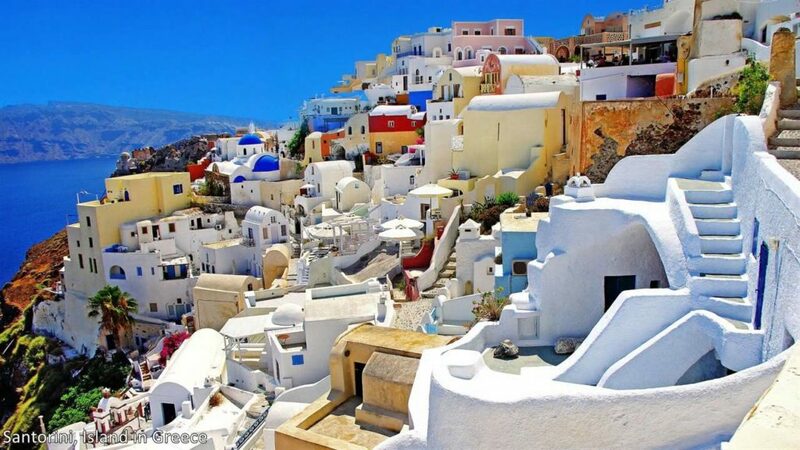 Though Santorini has something more to offer. Other than that the beauty of Greece is often related with that of the heaven as once it was the place of the ancient Greek Gods. Santorini is the most beautiful place in Greece. The curved caldera and a cliff of Santorini created centuries ago when the volcano erupted as some part of the island fell into the sea because of it. The best way to explore the beauty of the island is to rent a scooter and sit tight while driving through Oia which is the northern part of the Santorini. The pure white coloured buildings, the full & red ocean, blue sky and the large volcano with the sunbathe black beach altogether will give you and your partner a memorable holiday that you will going to cherish the rest of your life. 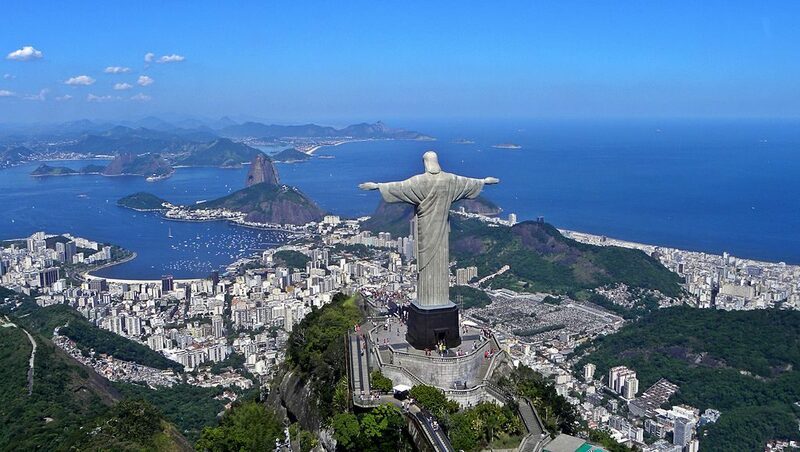 Often people complain about the busy beaches of Rio and decline it from their list of potential honeymoon destinations. However, couples looking for romantic vibe can easily choose some of the beautiful spots that are not spoiled by certain crowds. It is just that you need a perfect guide to all those places that are secluded for couples only in Rio. This place is very good for family vacations ideas too. No doubt that the entire Brazil is recognised for its incredible landscape, though Rio has the best scenic view in the whole country. If you are planning to visit Rio, make sure you are not missing the sunset at Arpoador which is a point where Ipanema meets Copacabana. The rock jutting out the scene in the Ocean here is the ideal place to spend the evening at the time of sunset. Don’t wait up until the Rio Carnival, as it is the most widely awaited festival here, book tickets right away to grab the rooms among the top romantic resorts. Nature is at its best in Bali, Indonesia. Those couples who want to spend their honeymoon in the lap of nature instead of architecture and streets, Bali is just for them. Start your journey with the Marigold fields along the roadside between Kintamani and Bengal which are very auspicious for the Balinese culture as marigold is the daily offering of the Supreme God Sang HyangWidhiWasa. After that plan your trip to the Campuhan Ridge Walk which will give you an uber romantic stroll through the rice fields and the past quaint huts of Indonesia. Morning walks with your partner with beautiful butterflies flying around and then visiting a café for having your breakfast will be the best start for the day. And then end your evening with wine and lovey-dovey songs in a romantic resort here in Bali and go to bed with awesome memories and fresh air in your lungs. Maui the ‘best island in the world’ rated by Conde Nast over the last 17 years consistently has something magic in its year which forces every tourist to come back again and again to visit the incredible beaches of Maui. 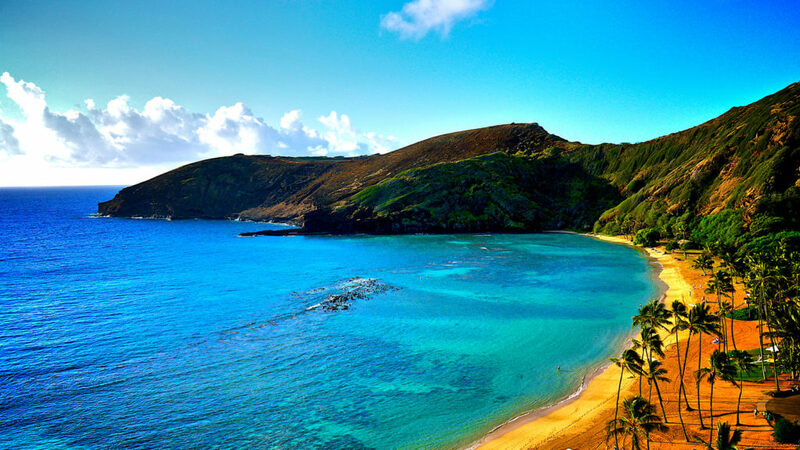 Most Hollywood celebrities choose Maui as their ultimate destination for Honeymoon. And this is not a coincidence rather there are a plethora of adventurous activities that one can do in Maui. Starting from the romantic sunrise trip at Mt. Haleakala’s summit which is 10,000 feet above the sea level. A drive along the historic road to Hana, watching the luau feasts of Hawaiian and Polynesian style and ultimately a sunset dinner in a cocktail cruise will complete your day 1 in Maui. Though this is not it, there are more things to do like a helicopter ride, or a romantic photoshoot. At least make a 5-days trip to Maui to see all its beauty and to complete your trip in Hawaii. Don’t forget to plan your trip beforehand and to keep a map handy to make the best out of your time in Maui. Aruba is situated in the southern part of the Caribbean Sea, which is a constituent country of the Kingdom of the Netherlands. The sunny weather where the cactus thrives well, in actual can be the best place to spend your honeymoon. The Dutch citizens are indeed good cooks who will give you the leverage to have some awesome seafood while dining beside the beach in the evening under the moonlight and open sky. The sound of the waves crashing on the shore will give you a thrilling experience. The chilling air at night will make it more pleasurable. Not only at night Aruba beaches are breathtaking at daytime also. As walking on the sandy white beaches will make you both to snuggle up and fall in love gain. Couples who fancy for adventure also may give a try to parasailing, a helicopter ride. A visit to the Arikok National Park and what not. 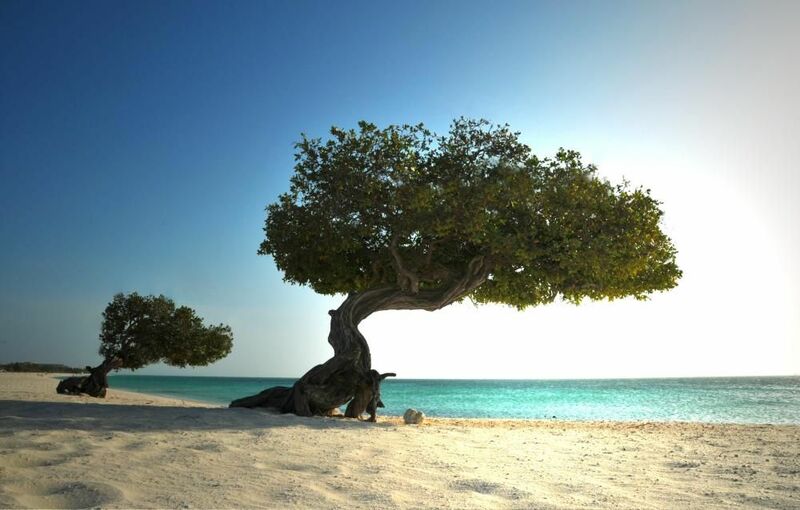 There are plenty of things to do in Aruba. Make it your romantic escape and plan your honeymoon today. I would like to end the list of our top honeymoon destinations in the world with the Panama City. Where almost 30 miles of sugar white sandy beaches meet the endless blue sky. It is the paradise for couples who want to spend a romantic day. A romantic day in the shadows of the palm trees and experience the chill of a nomadic life. The windy weather, the sunny, scenic view, and the blue ocean altogether make the perfect spot to repeat the first kiss again. Ditch the hustle bustle of the city and spend some quality time with your partner. By renting a pontoon boat and drive along the sea while some friendly dolphins may come to say you hello. Taking a helicopter ride over the Panama beach will help you to see the entire city from a kingfisher’s eye. Don’t forget to soak up a sunset on the beach; it is mandatory. You can have a romantic meal together also while looking at each other’s eyes under the glittering sky. Making a plan ahead of time, while visiting Panama will help you to book some rooms in the top romantic hotels in this city.